**Updated** Matt of the Blog Tenets of Wilson got it right. 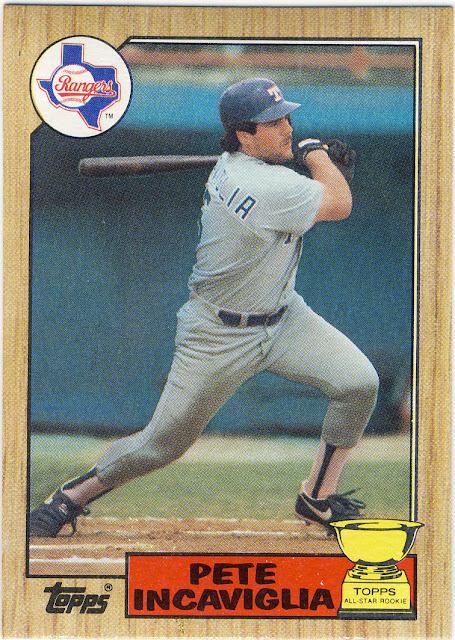 The card was 1987 Topps #550 Pete Incaviglia with the All-Star Rookie Cup award. Congrats Matt. 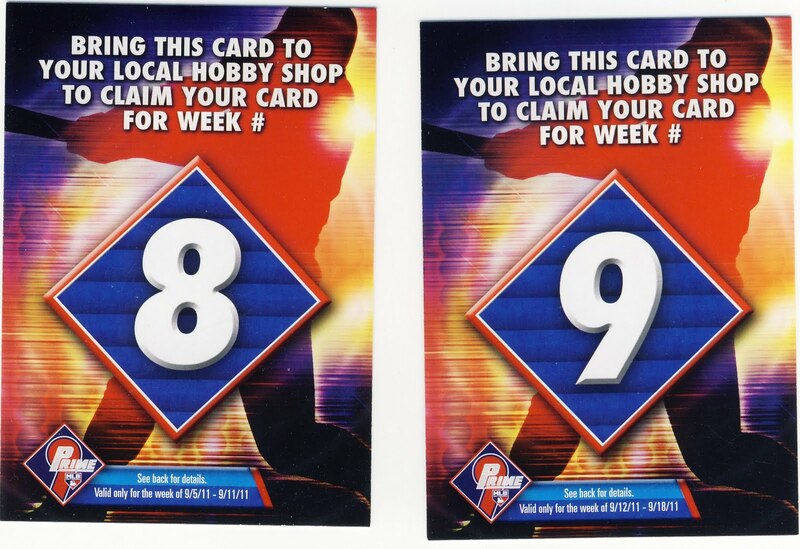 I've got two Topps Prime redemptions to give away...They are for cards #8 and #9 that can be redeemed between 9/5-9/11 and 9/12-9/18 at your local card shop. Here's some more information on the Prime 9 promotion if you aren't familiar with it. Given there are only a few million baseball cards to choose from, I'll give you some help...the card is from the 1987 Topps set. Be the first to leave a comment with the correct card and the redemptions are yours. If no one can get it after a little while I'll show you some more of the card in question. I definitely think Matt got it. I agree with the Lost Collector. Matt definitely got this one. Way to go dude!